Professor Stephen Holgate says ME/CFS is a spectrum of disorders that need to be understood through new approaches, and patients must be partners in research. Simon McGrath reports. ME/CFS probably isn’t one disease, or even a few different ones – but could be as many as fifteen. So said Professor Stephen Holgate, Chair of the UK Research Collaborative (CMRC), when he addressed the Forward ME Group in the House of Lords on 2nd July. He also argued that a radical New Science was needed to tackle ME/CFS and said patients must be partners in research. Not bad going for one talk. More than a dozen different diseases? With such complexity, it’s perhaps not surprising that little progress has been made to date. Professor Holgate said some researchers new to the field had been shocked by the poor quality of much ME/CFS research, and even commented that some had ‘made a career’ out of ME/CFS theories that could be shaky. Also, while medicine has made great progress in many areas, it has been struggling to tackle the remaining problems, particularly chronic illnesses. A fundamental issue, he said, is “the breakdown of the linear relationship between cause and effect”. That was a bit over my head, so I asked him to elaborate: he’s always been amazed by the ability of our bodies to restore themselves in response to adversity, such as an infection – either compensating in part or restoring normal function. He believes that the complex networks responsible for this ability of the body to restore itself have gone awry in ME/CFS, and perhaps other chronic illnesses too. He says the only way to tackle such a complex problem is, ultimately, to track down and understand the individual causal molecular pathways: if you know the pathway you know the way to deal with the disease, and that was the way to get the drugs industry involved. Identifying the pathways is a big challenge, but Stephen Holgate believes that now is a fantastic time to study ME/CFS as new techniques emerge that are up to the job. To have any hope of identifying many different diseases (or causative pathways) within the umbrella definition, a lot of patients are needed; and there are early plans for a study involving a 5,000-strong cohort of patients. The idea is to explore everything: phenotypes, genotypes, gene expression, cells, cytokines, metabolites and more. Some of these individual features have been researched before, but not all together: and never on such a scale. High quality scientists would then have to be involved to look at applying the new technologies to the data generated from patients. But there has to be a multi-disciplinary approach, and nurses, for example, would be just as important as mathematicians in this operation. New computer technology would be used to probe the mass of data, with the aim of finding distinct groups of patients who ‘cluster’ together with similar features, which should make it easier to home in on different causal molecular pathways in different types of patients. It is identifiying causal pathways that will lead to a much deeper understanding of ME/CFS and, hopefully, provide targets for drug therapy too. Stephen Holgate’s vision for ME/CFS research requires a radical change. The majority of research funded in the UK to date assumes that whatever triggers ME/CFS, it is perpetuated by patients’ flawed beliefs and behaviours. The new approach focuses instead on differences between patients, to see what this might reveal about different underlying causal mechanisms. Though of course, as yet, nothing is proven. Also, if he is right, and there are up to fifteen different causal processes involved, it might explain why biological findings have been inconsistent across the small-scale studies we have seen to date. Stephen Holgate acknowledged that over the years there had been a breakdown of trust between patients, healthcare providers and researchers. He wants to change that, pointing out that in most areas of medicine the patient voice was now valued and recognised. (Read about the growing Patient Revolution here. http://phoenixrising.me/archives/17658) The ME Association’s Dr Charles Shepherd said the new CMRC Executive http://phoenixrising.me/archives/17271 wants patients to attend meetings so that they could meet researchers. Holgate added it was also so patients can help set the research agenda – wow! Patients, charities and the public must come to the CMRC’s Annual CFS/ME Scientific Conference, which starts next year (details yet to be announced). He would like to set a half-day aside for patient involvement, but is discussing with charities how best to do this. With plans to engage with patients in setting the research agenda, and a new approach to research, we could well be at the start of a new era in the UK for the understanding of ME/CFS. Note: unfortunately I wasn’t at Forward ME Group meeting, and wrote this from the extensive meeting minutes ( http://www.forward-m...d July 2013.htm), with some additional information from Stephen Holgate himself. Any errors are my own. Not many scientists choose to work with ME/CFS. Even fewer when, like Stephen Holgate, they already have impressive careers (he’s made several key discoveries about asthma for example). But Holgate positively sought out ME/CFS research and its politics. He told the former Chief Executive of the Medical Research Council (MRC) http://www.mrc.ac.uk/index.htm, that ME/CFS was a problem that needed sorting out – and was promptly asked to attempt just that. He began in late 2009 with a workshop and the MRC Expert group on ME/CFS http://www.mrc.ac.uk...ex.htm#P50_3415, which ultimately led to MRC grants of £1.6 million ($2.3 million) for biomedical research in 2012. It was followed by the launch of the UK CFS/ME Research Collaborative (CMRC) http://phoenixrising.me/archives/16786, earlier this year, endorsed by the MRC and two other major research institutions. So Stephen Holgate gets things done, but why did he choose to get involved? In an interview http://www.chartered...stephen-holgate, he revealed that what he most loved about being a scientist was new challenges, particularly helping others who deal with “complex issues around complicated diseases” – a nice summary of ME/CFS, which he gave as an example. This could be just what the field needs. Stephen Holgate is the MRC Clinical Professor of Immunopharmacology http://www.southampt.../staff/sth.page, and has been a visiting professor at both Harvard and Yale universities in the US. Però se ci mettono di mezzo i matematici, siamo fritti! Cero per la scuola inglese questa è una rivoluzione. molto potrebbe dipendere dai malati(come ho sempre sostenuto io). In effetti ti dicono "potresti avere tante cose", solo che i nostri cari medici poi ti voltano le spalle dopo un paio d'esami. Condivido nella totalità quello che hai scritto Romy. Hai scritto in poche parole tanta verità. Accidenti, oggi siamo a pericolo cataclisma: mi tocca essere d'accordo con te! Mo' sta a vedere che nevica con 40 e passa gradi! Comunque, purtroppo, queste posizioni non hanno nulla di buffo e le ritengo (parere mio, eh) estremamente deleterie per il progresso della medicina. Ho risposto di getto.. senza aggiungere spiegazioni. è che non riesco più a scrivere molto e mi è sempre più difficile ridire le stesse cose da oltre 20 anni. Concordo sul fatto che questo Rapporto fatto in Inghilterra sia un buon inizio in quel Paese dove lo strapotere degli psichiatri è ben noto. Ovviamente ho postato l'articolo giusto per informazione. 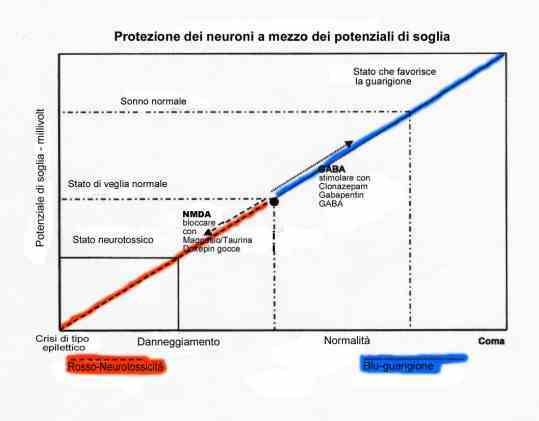 Nella mia ignoranza ha attratto il mio interesse la considerazione seguente: "Ci sono, ha ricordato, quattordici differenti percorsi causali di cancro al seno, apparentemente una malattia molto più uniforme.". Dovremmo istituire un premio per i medici "Curiosi, onesti e capaci di autocritica". Da quanto ho capito l'articolo è divulgativo, no? Perché noto una certa confusione, al di là del fatto che ritengo positivo l'approccio che propone. Una cosa sono quelle che questo medico definisce i "percorsi causali", cioè le cause scatenanti della malattia. Altra cosa è la malattia. Allora mi domando: la ME può essere dovuta ad una molteplicità di cause o in realtà si tratta di una molteplicità di malattie? Non mi risulta per nulla chiaro. Forse è dovuto anche alla traduzione, non so. Il cancro al seno non è affatto eterogeneo: esistono vari tipi e i fattori scatenanti e predisponenti sono molteplici. Ma per quanto riguarda la ME (o anche la fibromialgia, visto che ci siamo) com'è la situazione, allora? Perché alla fine, se un malato scopre di avere anticorpi circolanti, allora è probabile che abbia una malattia autoimmune, la quale dà sintomi molto simili alla ME. Tuttavia si tratta di altra patologia e prevede una specifica terapia. È un piacere rileggerti. Ero un po' preoccupata. Come stai? Anch'io posto per informazione, indipendentemente se concordo cn un articolo/ricerca/studio/ecc. Tu che sei molto più lucida e preparati di parecchi con CFS e/o ME, potresti dirmi cosa ne pensi della ME alla luce dei documenti secretati per 70 anni? che senso ha fare ricerche se poi scoprono qualcosa di losco e lo censurano? non sarebbe logico che alcuni ricercatori, oltre ad evidenziare il fatto che ci sono troppe diagnosi errate, andassero nella direzione dei documenti segreti? se le scoperte fatte e coperte da segreto le facessero altri 10-20-10 ricercatori farebbero la stessa fine o scopriremmo cosa ha causato questa "epidemia"? Il mio sospetto è molto semplice, la causa della ME si sa, o almeno si sa per alcuni casi, e la si tiene nascosta per non fare una denuncia di massa contro qualche multinazionale, ditta, stato ecc. Mi dispiace davvero tanto Zac. Qualcosa in particolare ha scatenato il peggioramento? Si tratta di un peggioramento lento e continuato? Uh? Mi prendi in giro? potresti dirmi cosa ne pensi della ME alla luce dei documenti secretati per 70 anni? che senso ha fare ricerche se poi scoprono qualcosa di losco e lo censurano? non sarebbe logico che alcuni ricercatori, oltre ad evidenziare il fatto che ci sono troppe diagnosi errate, andassero nella direzione dei documenti segreti? Scusa Zac, sto un po' cascando dal pero. A che documenti fai riferimento? Che ci siano molte diagnosi errate (tanto in un senso come nell'altro) è piuttosto plausibile: non è ancora scoperto un meccanismo biologico che spieghi l'esordio della ME. Non esistono criteri diagnostici strumentali a disposizione. I criteri internazionali possono essere un primo passo, ma parliamoci chiaro: quei sintomi possono essere comuni anche ad altre malattie. Per esempio a me era stata diagnosticata la ME. L'ipotesi però ora sta sfumando, alla luce di altri sintomi che si sono presentati e di altri che invece sono scomparsi. Ma non accuso affatto il medico che mi ha in cura, capisco che non ha un caso facile fra le mani. se le scoperte fatte e coperte da segreto le facessero altri 10-20-10 ricercatori farebbero la stessa fine o scopriremmo cosa ha causato questa "epidemia"? Non so cosa dirti Zac. So che ponderi molto le tue parole prime di scriverle e rispetto molto il tuo parere e il tuo giudizio. Però devo anche dirti che sono un po' allergica alle teorie complottistiche. In particolare: molti trial clinici ed esperimenti biomedici in generale (quindi suppongo anche quelli sulla ME) sono cofinanziati dalle industri farmaceutiche. Il motivo è molto semplice: nessun istituto di ricerca pubblico avrebbe i fondi necessari per sostenere studi che possono durare come minimo 5 anni e molte volte arrivano a 10 o più. È un male? Non so, ma è così che vanno le cose. Se davvero la ME è epidemica, un'industria farmaceutica che ne conosce la causa e la cura, non sarebbe in qualche modo interessata a patentarla e venderla? Che ne pensi? Ciao Miki, il peggioramento è lento e continuo. Secondo,quello che ho detto io:"il nostro corpo ha il potere di autoguarirsi per ogni patologia basta avere consapevolezza,non essere intossicati/stressati/preoccupati"lo ribadisco con forza,ma anche questo è materia per pochi. Terzo,per le parole di Falco:"mi piacerebbe vederti come ti sforzi e quello che ti inventi per realizzare quello che dici.....per me +o- ci sono tutti gli ingredienti per una buffa commedia napoletana",anche quì Falco o non ha ben compreso o ha dimenticato o non letto per nulla i miei post?,perchè,ho scritto e riscritto che ci sono stress e preoccupazioni che non si possono sdradicare dalla vita di alcuni e quindi anche dalla mia vita,almeno ad oggi è così.Poi suonano male,e persino offensive le tre parole:Buffa Commedia Napoletana,sia nei confronti delle parole di Gesù Cristo,sia in relazione alle mie convinzioni.Discutere è una cosa,offendere è un'altra,forse con l'intento di trascinare in polemiche sterili...............che non sono il mio forte.......essendo il campo della polemica,un settore dove mi vedrei sicuramente "Un Perdente". Quarto,per Michela,si vede che non mi conosci bene,altrimenti sapresti che sono il tipo che non raccoglie con faciltà,ma tutto deve avere un limite ed una decenza,quì non c'entrano nulla l'Ironia.....,la CFS...... la tristezza........,ma ben altre cose di cui non intendo discutere ulteriormente,onde evitare il solito discorso tra sordo-muti,già,ampiamente,fatto in passato,di cui ognuno resta con le sue idee.Poi non è un segreto che le nostre visioni sulla medicina divergono abbastanza,tu,ed asserito da te stessa,sei per la med. uff.al 100% senza possibilità di alternativa,io lo sono,diciamo al 50%,potrei essere molto critico per certi versi,ma evito,per rispetto altrui e delle proprie credenze,altrimenti avrei munizioni da sparare a critica,almeno per anni 2 senza soluzione di continuità. Io sono sicura che a nostro Padre la commedia napoletana piaccia un sacco e che non si sia sentito affatto offeso dall'accostamento. Sono ben altre le azioni che offendono. Michela,lasciamo fuori dai nostri discorsi nostro Padre e parliamo delle nostre idee in proposito alla salute,cfs ecc.ecc. Ho capito l'antifona sui reparti di oncologia ed altri,anche se tale antifona non calza alle mie idee in toto,ma tu ti credi o sei una persona intelligente ed hai così percepito,(forse? ),tra le righe di qualche mio post,tra i 3115 fatti su questo forum,l'odore di qualche critichina,pensata più che scritta nei particolari,nei confronti del sistema imperante nel mondo della salute,quindi la cosa non ti ha garbato,essendo tu una sostenitrice,al 100% del sistema di cura,oggi imperante nel mondo. La mia memoria funziona piuttosto bene e l'invito era rivolto proprio a te. I validi medici che conosco io hanno almeno l'umiltà di ammettere che per parlare con conoscenza di causa di meccanica quantistica è necessario essere dei fisici. E adesso continua con i tuoi n-mila messaggi. Spero ti aiutino. Romy, veramente senza rancore, ma davvero pensi che dei video caricati su youtube siano delle prove? Prove sono dati sperimentali, pubblicati su riviste internazionali peer reviewed, riproducibili. Questa non è una mia idea, me l'hanno insegnato fin dal primo anno di università. Devo citarti qualche fonte sul metodo scientifico? Guarda, ora che ricordo, giusto a febbraio partecipai ad una scuola di radioterapia e un grande medico, ormai in pensione, non faceva altro che insistere sul fatto che i nuovi medici devono attenersi ai principi del metodo scientifico (lui citava spesso Popper). Quindi che prove vuoi che ti porti? Che ti citi dei testi di Popper? Con molto piacere. Grazie per il video della conferenza del dott. Ruggiero, molto interessante, soprattutto perché fa riferimento esclusivamente a studi reperibili su Pubmed, sul sito del Ministero della Salute ed altre pubblicazioni ufficiali e mostra chiaramente la cecità di chi si abbandona ad una fede nei farmaci che ha ben poco di razionale. Peccato che non tutti se la sentono di ascoltare certi discorsi. In realtà nella sua slide Ruggero mostra solo il titolo e l'inizio dell'abstract. Provate anche solo a leggere tutto l'abstract (comunque l'articolo si può scaricare) per vedere se effettivamente l'articolo dice quello che Ruggiero gli fa dire. "E' un fatto accertato che l'MRC abbia un dossier segreto sulla M.E. che contiene documenti...."
È un fatto accertato da chi? Dove mi sono persa? Tutti sappiamo i disastri della psichiatria inglese riguardo la ME. Però a questo punto le ricerche si fanno in tutto il mondo. Qualsiasi informazione sia contenuta in quei documenti, non pensi che possa essere stata in qualche modo ritrovata? Certo, se è tutto vero, si è perso del tempo. Ma davvero tu credi che in quei documenti sia contenuto qualcosa di essenziale? PPS: Credo che si dica semplicemente "tenuti segreti"
Non co cosa pensare sul contenuto, o meglio, ci sono diverse spiegazioni e poi mi chiedo come mai li hanno secretati per il doppio degli anni come fanno di solito, nonrmalmente li si rende segreti per 35 anni, alla scadenza puoi prolungare la segretezza di altri 35 e cosi all'infinito, e qui fanno 70 in un colpo solo.. Non sono un agente segreto ma il fatto che ne hanno parlato in pochissimi rende il tutto ancor più misterioso, o no? Non ero andata a controllare le fonti. In effetti il dott. Ruggiero è un medico, docente universitario e ricercatore, non un giornalista, per cui ritengo che se fa delle affermazioni in pubblico citando dei documenti, sia adeguatamente qualificato per esprimersi in materia ed abbia più competenza di me a capire cosa c'è scritto, né ho elementi per pensare che possa essere in malafede. Se invece qualcun altro ritiene che il dr. Ruggiero menta, dovrebbe essere in grado di dimostrarlo senza fermarsi a semplici allusioni, con la cortesia di illuminare gli ignari sprovveduti come me e tutti quelli che gli credono e che magari non sono così addentro al linguaggio tecnico. Veramente avevo letto qualcosa, e francamente era meno misterioso di quel che si pensi... Il numero di anni di secretazione dipende da un calcolo relativo alla protezione dati: dei pazienti degli studi, dei ,credo!, finanziamenti degli studi e di altre cose. Ma preciso che sto citando a memoria, e sappiamo di che memoria stiamo parlando! Se ritrovo incollo quel che trovo. spero vivamente di essere smentito, sempre! Se trovi informazioni postale cosi ci togliamo qualche paranoia complottistica. Alla fine: è conatgiosa o no? Avete dati aggiornati? Cuore: Scintigrafia Miocardica o MRI nei pazienti ME/CFS?